This post is sponsored by Smith Teamaker. As always, all thoughts and opinions are 100% my own. Thank you for supporting the brands that help make Browned Butter Blondie possible. Spring is finally here and I couldn’t be more excited about it! Springtime is by far my favorite time of year. Skies are blue, the sun is shining, flowers are blooming and the longer days give way to leisurely evenings outdoors. There’s so much to love about spring and all of the happy and well, springy, things that come with it. It’s also my favorite time of year to experiment with new flavors in the kitchen. Hello rhubarb….I’ve got big plans for you! 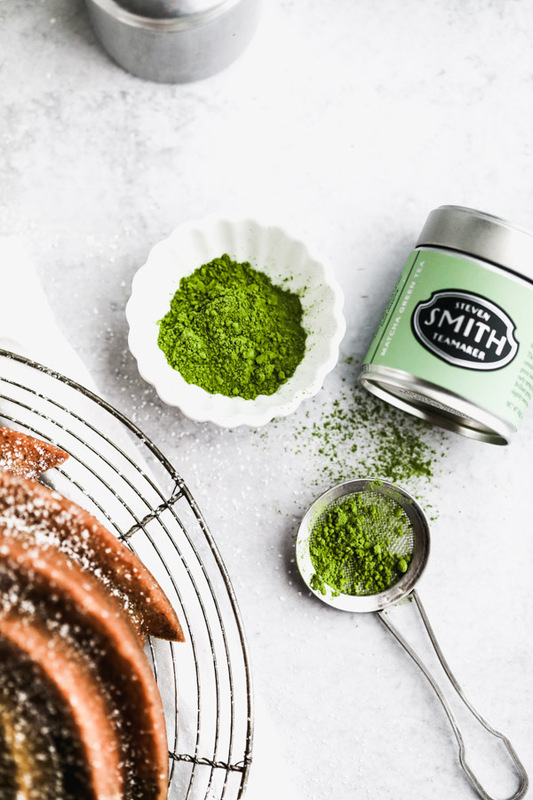 When Smith Teamaker reached out to have me develop a cake recipe for them using their Matcha Green Tea I jumped at the chance. I’ve never baked with matcha before and let me tell you, I’ve been missing out! If you are new to matcha – it’s a traditional tea in Japan made from finely powdered green tea leaves. The entire leaf is ground which means it’s packed with antioxidants. Bonus points! The flavor of matcha is a little tough to describe. It’s a tad bit earthy as most teas are, but it also imparts a subtle sweetness in baked goods. And that brilliant green color is something to talk about! 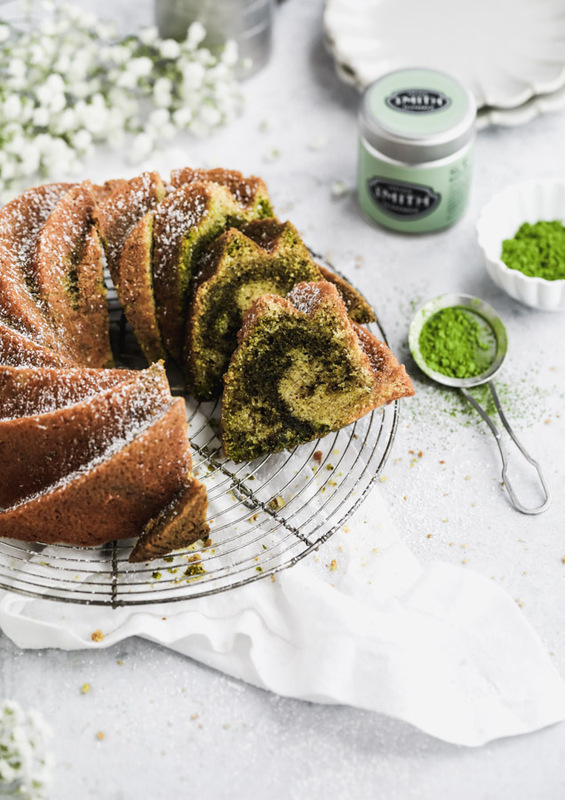 After pairing matcha green tea with olive oil and nut flours in this Matcha Green Tea Bundt Cake, I have to admit I’m totally intrigued with all things matcha at the moment. The cake is light and not too sweet, perfect for dessert and even better for breakfast. The olive oil keeps the cake moist with a tender crumb and the almond and hazelnut flours give it a slightly nutty flavor. I was pleasantly surprised at how delectable this combo ended up being and I’ve got my eyes on several other matcha recipe ideas that I’ll be baking up this spring. Thankfully matcha green tea can be found just about everywhere these days. Even if you’re not a tea drinker, I highly recommend splurging on a tin of matcha because there are so many ways to enjoy it…in a drink, in a dessert. Matcha ice cream anyone?? Can we take a moment to notice how perfectly packaged this resealable matcha tin is from Smith Teamaker? It’s the prefect gift for all the tea drinkers in your life. 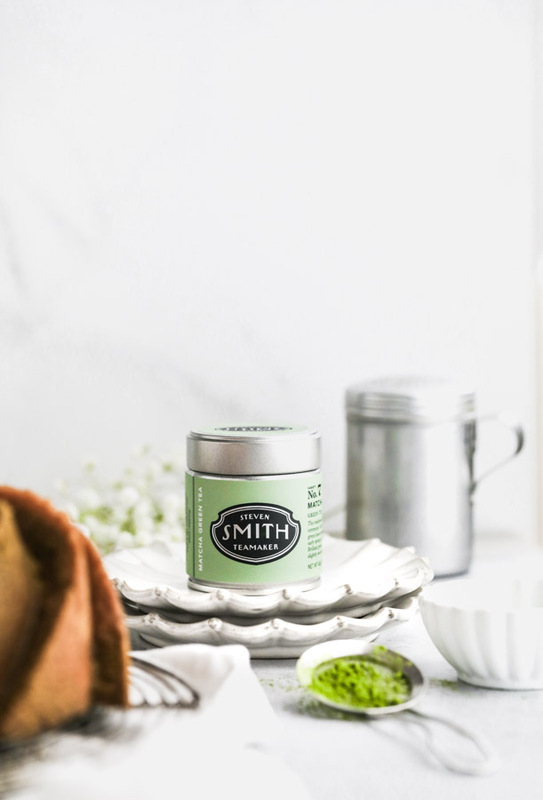 I just so happen to be doing a giveaway for a matcha green tea kit from Smith Teamaker. Head on over to my Instagram page to check out all the details and enter to win today! 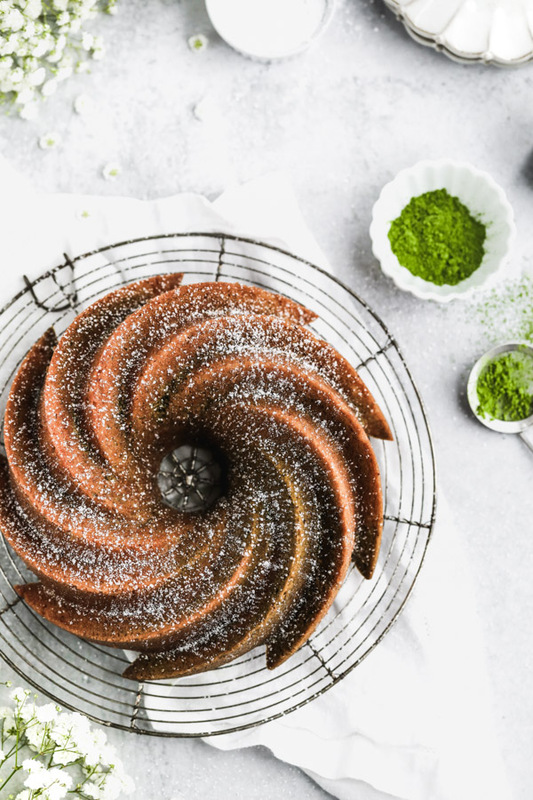 I hope you feel inspired to bake this Matcha Green Tea Bundt Cake. If you make this recipe, or any other sweet treat from the blog, be sure to tag @brownedbutterblondie on Instagram. I love to see what you’re baking up in your kitchen. 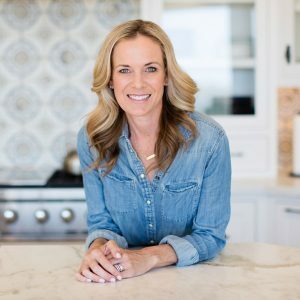 And don’t forget to follow Browned Butter Blondie on Pinterest for all the latest recipe details straight from the blog. I’ll meet you back here next week for another delicious recipe. Until then, happy baking! 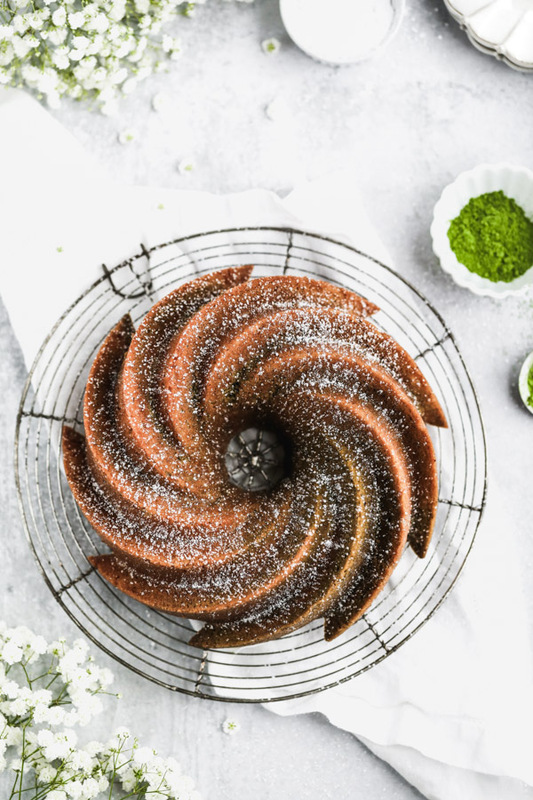 A light and slightly nutty bundt cake swirled with matcha green tea powder for added flavor and aroma. Perfect for dessert and even better for breakfast, this cake will impress all of your matcha-loving friends. Generously grease bundt pan or 10 inch springform pan with non-stick cooking spray. In a large bowl, whisk together eggs, sugar, olive oil and milk. Mix the dry ingredients into the wet mixture being careful not to over mix. Gently fold in the almond flour and hazelnut flour until barely incorporated. Divide cake batter in half and add 2-3 TBSP of matcha powder to one half of the batter and mix gently until just combined. This will leave you with two batters. 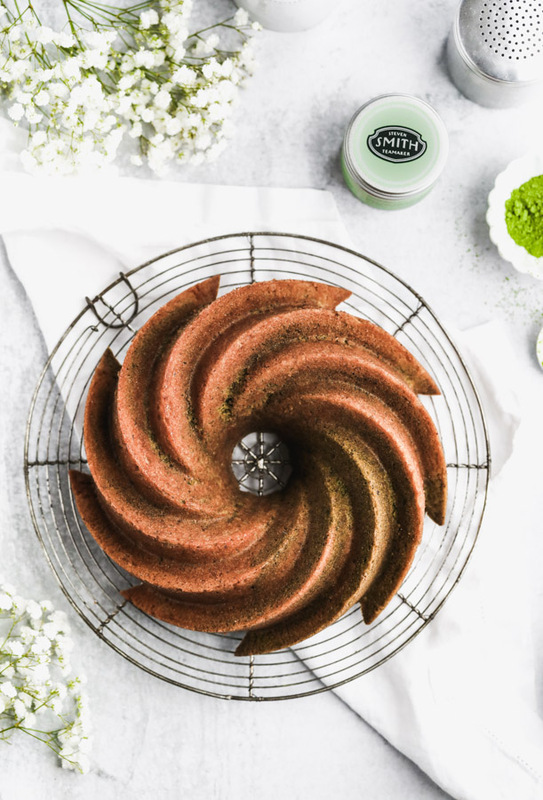 Spoon batters into the bundt pan alternating between the regular batter and the matcha batter. Insert a knife or end of a chopstick into the bundt pan and gently drag in a "Z" pattern, mixing the batters into a swirl design. Bake for 55-60 minutes, checking cake at 40 minutes to be sure it is not browning too quickly. Cover the top with aluminum foil to prevent the top from browning if needed. Once a toothpick inserted in the center comes out clean with few crumbs remaining, remove cake from oven and cool 20 minutes on a wire rack. Invert pan onto a large platter or plate and tap gently to release the cake. Cool completely before dusting with confectioner's sugar. Store leftover cake tightly covered in a cool, dry place for up to 3 days.